If you have ever seen a citrus tree, you may have admired the lovely shiny, dark green foliage and inhaled the fragrant blossoms. Maybe the climate you live in makes growing an outdoor specimen incomprehensible. Perhaps you thought to yourself, “I wonder if it is possible to grow indoor citrus trees?” Let’s find out. Although citrus may be grown from seed, it does not generally yield plants that are replicas of the paren, and the tree will seldom flower and fruit. Still, it is a fun project. If you really desire the juicy citrus fruit, purchase starts from a nursery. 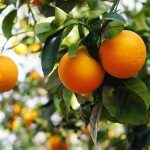 Now that you have chosen the particular cultivar of citrus plant for home growing, you’re probably wondering, “How do I grow a citrus indoors?” Growing citrus houseplants is really not all that difficult; however, getting them to bear fruit is another matter. The best way to think of growing citrus indoors is to consider it a lovely houseplant which may, with luck, produce fruit. Citrus grow best indoors at 65 degrees F. (18 C.) during the day, dropping 5-10 degrees at night. The tree will adapt to lower light conditions, but if you are after fruit production, the citrus needs direct sunlight (five to six hours a day). Plant the citrus tree in soil with a considerable amount of organics such as leaf mold, peat moss (Use peat in the soil mix to keep the pH down) or compost. A mix of one-third sterile potting soil, one-third peat and one-third organic matter works well. Relative humidity is an important factor in the growth of citrus. Running a humidifier during the winter and placing the plant atop pebble trays will raise the relative humidity. Water your citrus tree similarly to any houseplant. Water in thoroughly at intervals and allow the soil to dry out between watering. Citrus tree houseplant care also requires fertilization, especially if you want it to flower and set fruit. Use a formula made for acid-loving plants at half the recommended strength, only when the citrus is actively growing from April through August or September. If this tender loving care results in flowers, they may not develop fully into fruit. This is probably due to lack of pollination, which you can assist with. Shake, flick, or brush with a cotton swab or artist paintbrush gently to distribute the pollen from flower to flower and encourage fruiting. 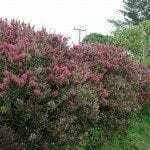 Additionally, moving the plant outdoors to a sunny, protected area will stimulate blooming. When pollination is a success, fruit will develop and take a few weeks to ripen. It is fairly common for smaller, young fruit to drop off shortly after formation due to ineffective pollination or less than desirous environmental conditions. Indoor citrus trees are relatively devoid of most pests; however, scale, whitefly and spider mites may come calling. Wash the foliage periodically to deter these insects, paying careful attention to the underside of the leaf. Serious infestations may require an insecticide, like neem oil. Consult with a nursery or garden center for a recommendation and proper use. Infestations or disease are more likely to occur if the tree is over watered, has poor drainage, increased salinity of the soil or a lack of nutrients – usually nitrogen. Vigilant care of your citrus will reward you with year round aromatic blossoms and, fingers crossed, fruit.